In Spain, the course includes five weekly diving lessons which you can combine with any Spanish course offered at our school there. 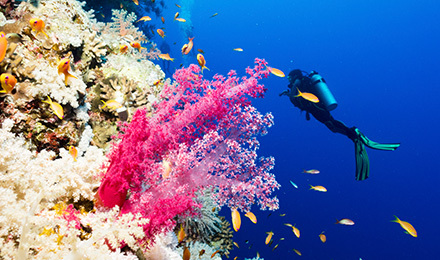 Students of any diving level can take this course to earn their PADI certification. The diving course offered in South America includes ten weekly individual Spanish classes. 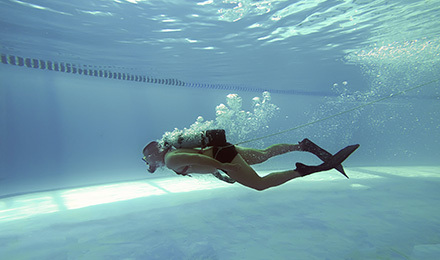 Students here can earn the PADI Open Water Certification or the Advanced Certification. For students who already have their Open Water Diver PADI qualification, we have an advanced diving programme available to you. This course allows you more time underwater than the beginners course, and you will receive preparation for the Advanced Open Water Diver qualification. This course is not recommended to anyone suffering from the following: heart trouble, asthma, chronic lung obstruction or other pulmonary problems, diabetes or hearing difficulties. Come discover all the beauty under the sea in these destinations!